Named after the German poet Friedrich Schiller, the production duo of Schiller originally consisted of Mirko von Schlieffen and Christopher von Deylen. The two layered trance beats and spoken poetry, which resulted in a couple of trance chart-toppers in Europe in the late '90s and early 2000. Aside from the Schiller project, both von Schlieffen and Von Deylen have worked on outside projects. Zeitgeist marked the band's debut in early 2001. A single featuring vocalist Heppner appeared early in 2002, followed soon by the full-length Voyage album. 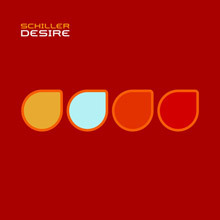 After the duo had creative differences, von Schlieffen departed and Von Deylen adopted the Schiller moniker as his own, continuing the project as a solo endeavor. 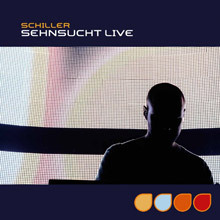 Trance magnates Schiller (individually Mirko von Schlieffen and Christopher von Deylen) put together a string of dancehall hits in Europe throughout the first decade of the 2000s, collaborating with a series of artists for a mix of trance instrumental tracks and recited poetry. 2008's Desire is little different in some respects. It holds to the basic tenets of trance music, using progressive buildups and slowdowns of compositional structure, and a strong focus on synths as the main melodic vehicle. Along with that musical core, though, Desire includes slightly filtered female vocals as well, adding a fairly ethereal element to the proceedings. Pieces such as "Black" (with Jette von Roth adding her vocals) can get a bit ethnic with their instrumentation. 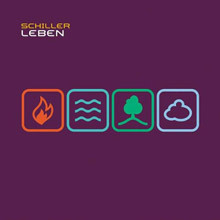 Pieces like the title track, however, hold up a bit more of Schiller's classic style with the eclectic Xavier Naidoo providing a partially spoken, partially chanted vocal accompaniment to a brooding instrumental track. Desire does all of the things a good trance album should do -- it provides moments of sheer danceable joy, and it provides moments of darker, tighter pensiveness. Primarily, though, it provides a long buffet of ambient sounds, stripped from the realm of the relaxed club. Not quite chill-out, not quite dance, but a casual groove. 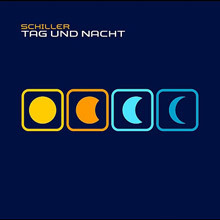 Tag und Nacht, like other Schiller studio albums before it, balances dancefloor material with lush, downtempo electronica. Once again, the majority of the tracks are instrumental, while a handful are full-blown songs with spoken word poetry and ethereal guest vocalists; Culture Beat's Kim Sanders returns, but the highest profile collaboration is with electronic music pioneer Mike Oldfield on “Morgentau.” The mood here tends to fall somewhere between tranquil and somber: it can be enjoyed as a deep listening experience or left unobtrusively in the background. 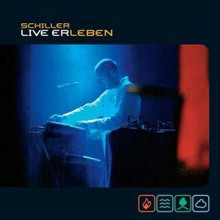 As with Sehnsucht Live, the performances on Live Erleben often add a little dramatic flair to their studio-album counterparts, thought the mood remains relaxing. The highlights here tend to feature vocal collaborations, as heard on “Delicately Yours” and “Distance” (both with Kim Sanders), “The Smile” (with Sarah Brightman), and “I’ve Seen It All” (with Maya Saban), and plenty of in-rhythm handclaps from the audience). Zeitsprung: Am 7.9.1988 treiben es Metallica mit „…And Justice For All“ auf die Spitze.